It is commonly called the Dracula ant because of an unusual behavior it displays. They are hunters and orther arthropods make up the basis of their food, however adult workers can't eat solid food. If the workers get hungary they have something else to keep them going. They will take small amounts of the Haemolymph of the juvenile ants maturing in their colony. Haemolymph is not actually blood, but it is the nearest equivalent in insects. The workers won't take enough to kill them, just to keep themselves going. The juveniles do seem to mind this as they try to avoid workers when they enter the nest chambers. 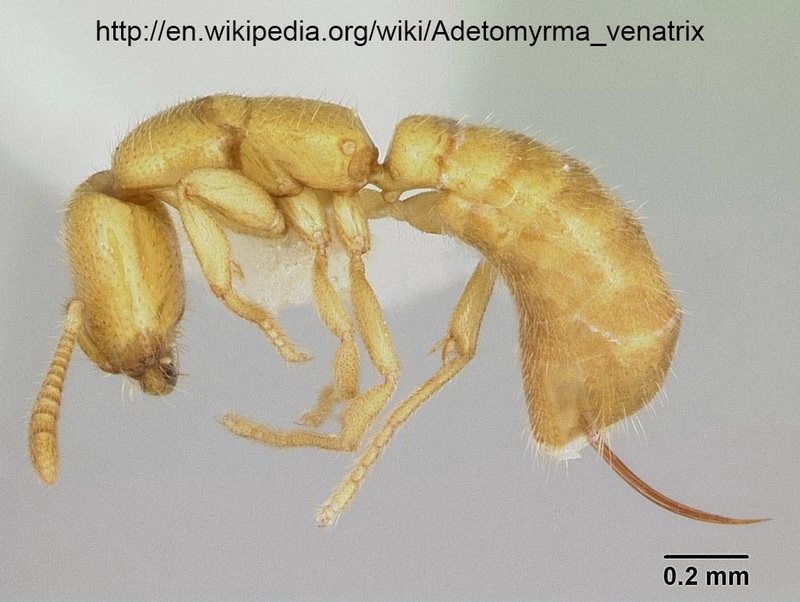 This species belongs to an unusual group of ants with many characteristics which are primitive in the ant family. Their abdomen resembles a wasp. Their queens are also wingless throughout their life which is unusual in ants. 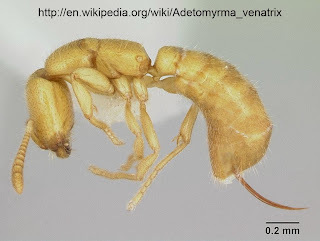 Dracula ants are endemic to Madagascar.